OSWEGO, NY – At approximately 7:06 p.m. Thursday, the city of Oswego Police Department was dispatched to 50 W. Bridge St., Paura’s Liquors, in regards to a robbery complaint. Upon arrival, officers interviewed witnesses, who reported a male entered the establishment, stole multiple bottles of liquor from a shelf and while attempting to flee, forced a 59-year-old victim to the ground and struck her. The victim suffered non-life threatening injuries, police said. 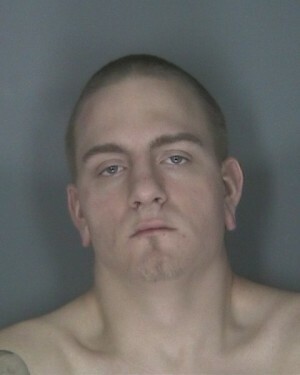 A subsequent investigation led to the arrest of James R Shipley, 21, of 207 W. Fifth St. Apt. 1, Oswego. He was charged with Robbery in the second degree (a class C felony) and Assault in the third degree (a class A Misdemeanor). Shipley was being held at the Oswego City Police Department pending arraignment.